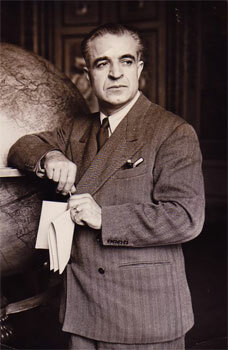 Dimitri D. Dimancescu, C.V.O., M.C. While serving as a diplomat in London, he chose in 1941 to resign from the service when the Antonescu dictatorship was established in collaboration with the Nazi government. He soon co-founded the Romanian Free Movement led by Ambassador Tilea. 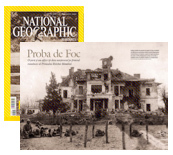 At the same time, he was invited by P.M. Winston Churchill to serve in Political Intelligence against the Germans in Romania. At war’s end he re-entered diplomatic service during the period of post-war treaty negotiations at the Paris and New York conferences. In 1947 he went into exile after the communist coup and lived in Marrakech, Morocco, for eight years before emigrating with his family to the United States in 1956. Click HERE for extracts of his memoirs covering his first diplomatic post in Washington, D.C. (1920s). 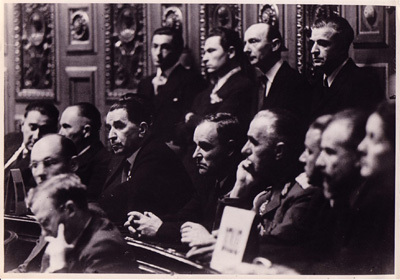 Romanian delegation at the 1946 Paris Peace Conference (more) – stern-faced representatives of pre- and post communist officials: G. Tatarescu (middle row 3rd from left; G. Maurer and Gnl. D. Damaceanu to his right. Dimancescu standing top right . Medals earned in WW-I in same order as top left. Dimitri D. Dimancescu Memoirs (300 pg) – diplomat & father of Honorary Consul Dan D.